Transplanting means moving a young seedling from one place to the next. You must pull it out delicately, and plant the young sprout in its final location or move it to an intermediate location that is better suited to letting it grow before its final planting. 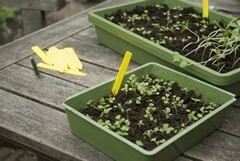 Sown plants can be transplanted one or several times. 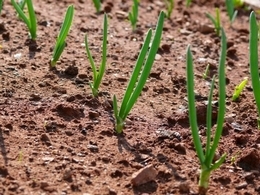 What are the benefits of transplanting? The simple fact of transferring young sprouts to introduce them to a new growth medium (usually soil mix) will enable them to pursue their growth in a better environment. When should a seedling be transplanted? The first transplant usually takes place when the first leaves have appeared and taken shape. The target location must have been prepared beforehand: clumps of dirt must have been broken up into small bits. 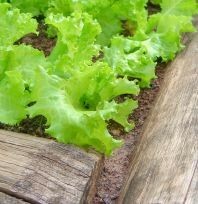 Transplanting also involves using seedling soil mix or cutting soil mix, and abundant watering to ensure proper settling in. Abundant watering helps reduce transplant shock.